The death of Turner-Scott Motorsports came in part due to the mistrust of Steve Turner, and Harry Scott. Their business relationship wasn’t always that bad. In fact, when Turner Motorsports first started in 2010, Scott’s business, AccuDoc Solutions was one of their first sponsors, and continued to sponsor teams up until the death of the team. The two worked together for a while, but then, as does happen, money got in the way. Once that happened, one of the best non-Sprint Cup teams ever met an inglorious end. 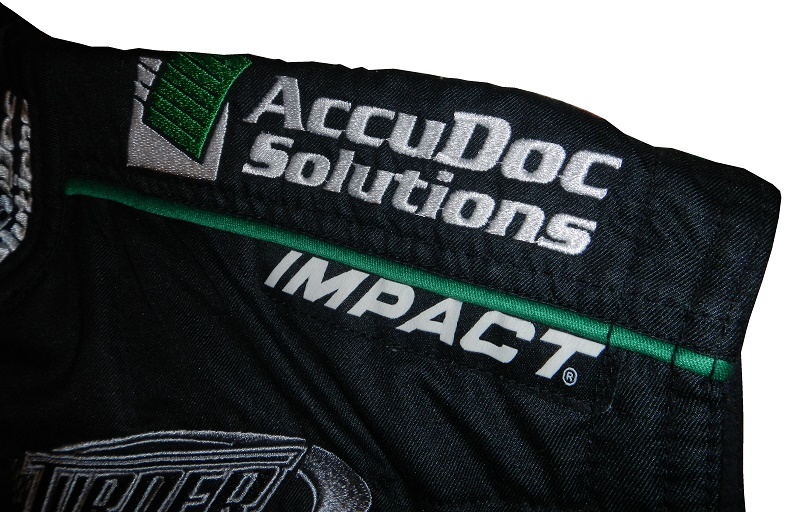 AccuDoc Solutions might not seem like likely sponsor for NASCAR, but it is. AccuDoc Solutions was founded in 2004, by Harry Scott. AccuDoc Solutions is a North Carolina based company that provides electronic tools to the medical industry, to increase productivity and accuracy. Turner-Scott was and HScott is Harry Scott’s side interest. Scott was smart enough to know the marketing power of NASCAR, and used it to promote his business quite well. AccuDoc has sponsored Turner and Turner-Scott cars since the beginning. Since Turner acquired Braun Racing, they have run a number of different manufacturers. Sometimes it can be difficult to figure out when a crew suit was used due to this. 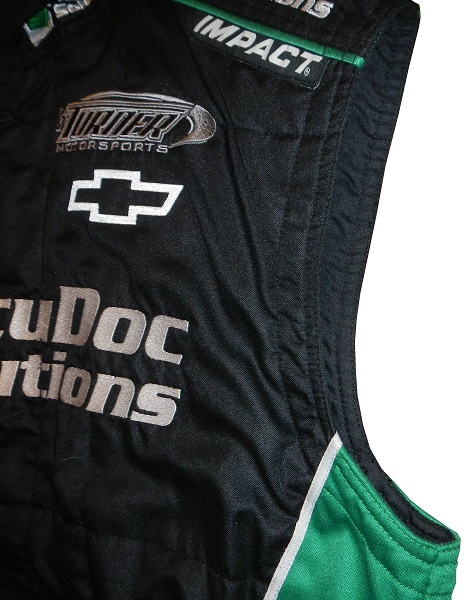 Turner switched to Chevy from Toyota during the 2010 season, and at in 2011, this AccuDoc Solutions vest was prepared for a crew member. The suit was manufactured in February of 2011. Since Turner became Turner-Scott in 2013, that would indicate that it was used from 2011 to 2012. That means that this was definite used for Mikey Kyle at Nashville and Iowa, the late Jason Leffler at Daytona, both Bristol races, Darlington, and the fall Dover race. 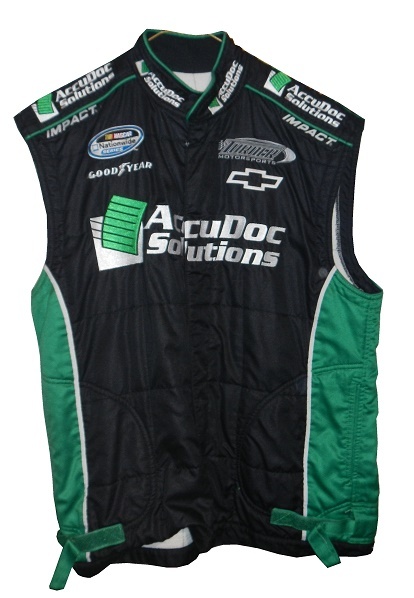 It could also be argued that the vest could have been used for James Buescher in 2012 at Richmond, Talladega, Darlingon, Dover, and the fall Charlotte race. Though it at most could have been used for two years, the vest shows light use. 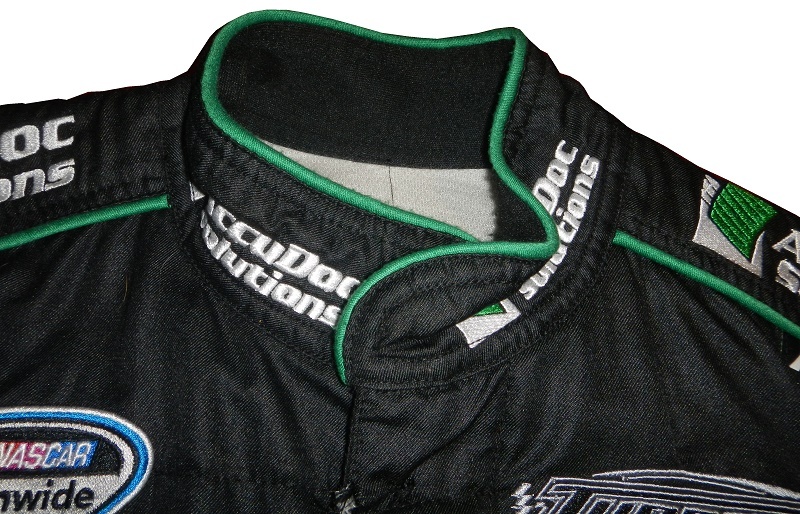 The collar has AccuDoc logos embroidered into them. There is no tag present in this area. 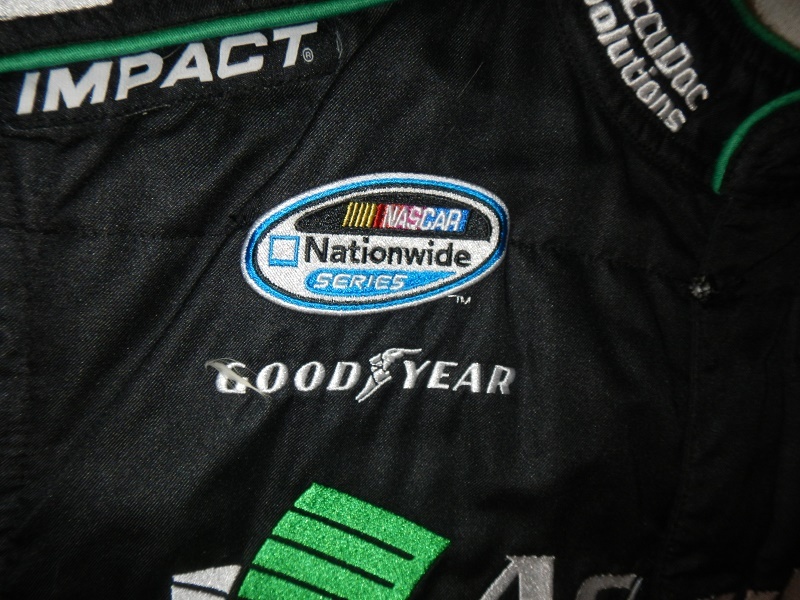 The right chest features a NASCAR NATIONWIDE SERIES logo and a GOODYEAR logo embroidered into it. 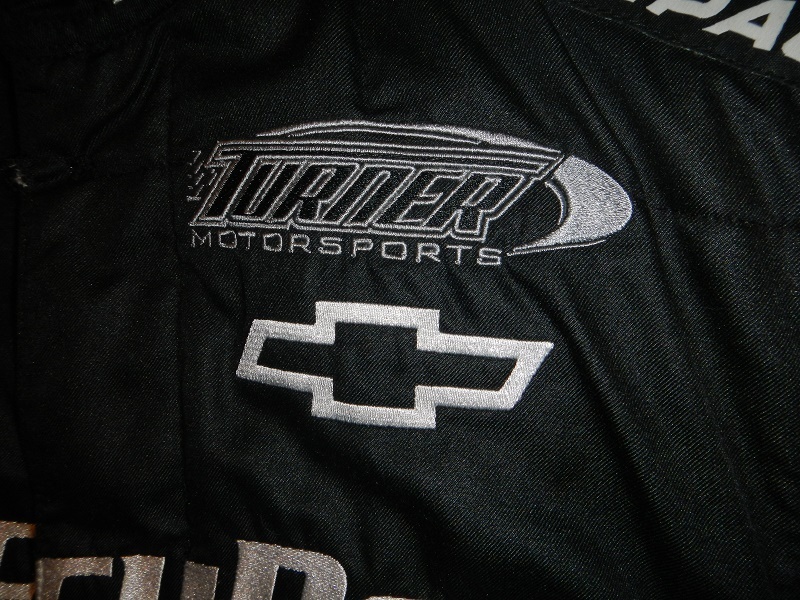 The left chest features a TURNER MOTORSPORTS and a Chevy Bowtie logo embroidered into it. 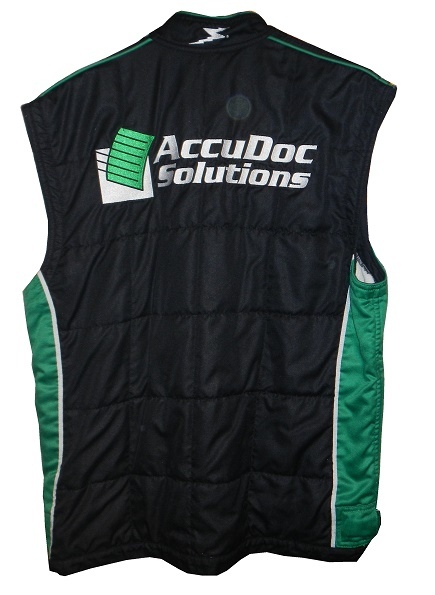 The front torso has a large ACCUDOC SOLUTIONS logo embroidered into it. 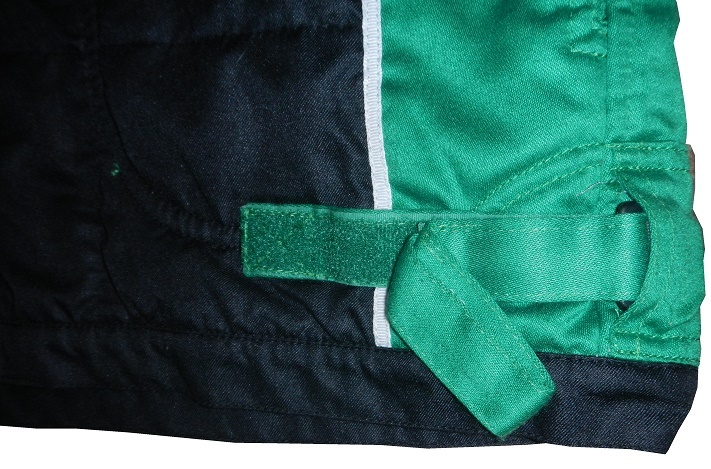 Inside the zipper, under the AccuDoc logo are the warranty and identification labels. 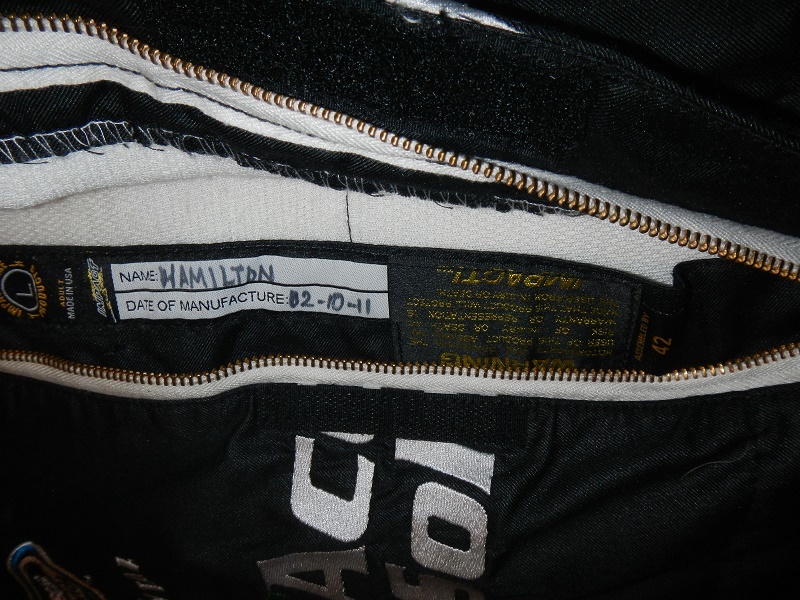 The identification label has HAMILTON written in for the name, and 2-10-11 written in as the date of manufacture. 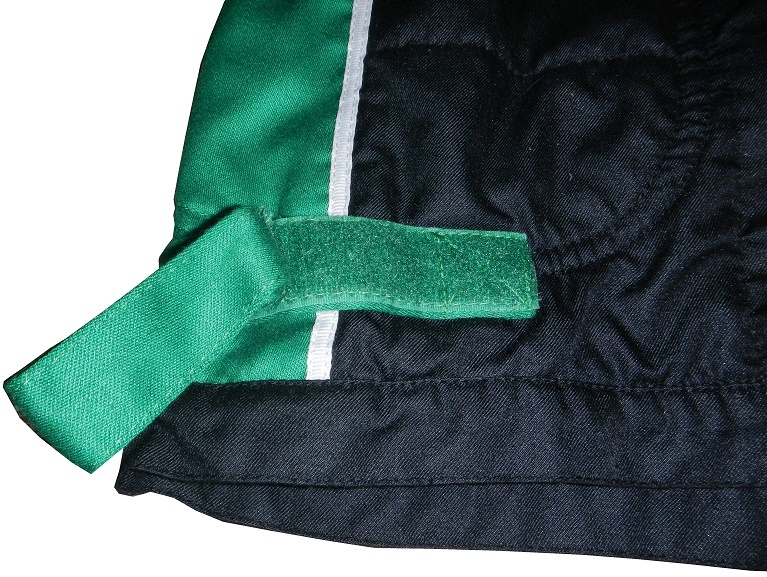 The bottom hem has the standard Impact comfort straps. 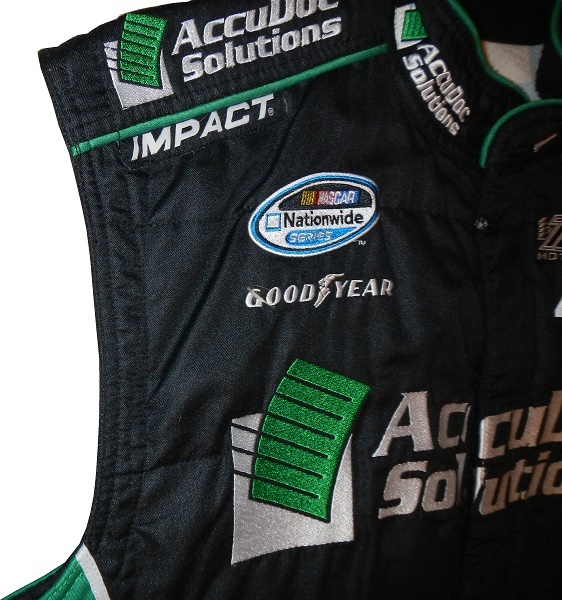 The shoulders have ACCUDOC SOLUTIONS logos embroidered into them, as well as Impact logos added under the bottom. The back of the vest doesn’t really show any wear. 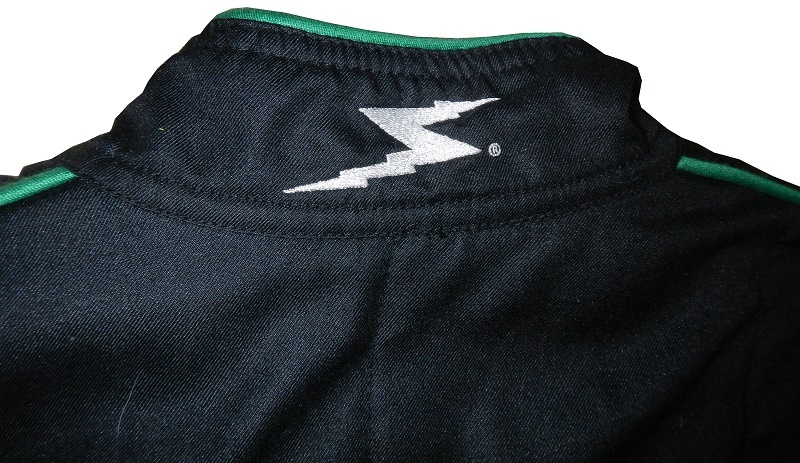 The back of the neck has an IMPACT Z logo embroidered into it. 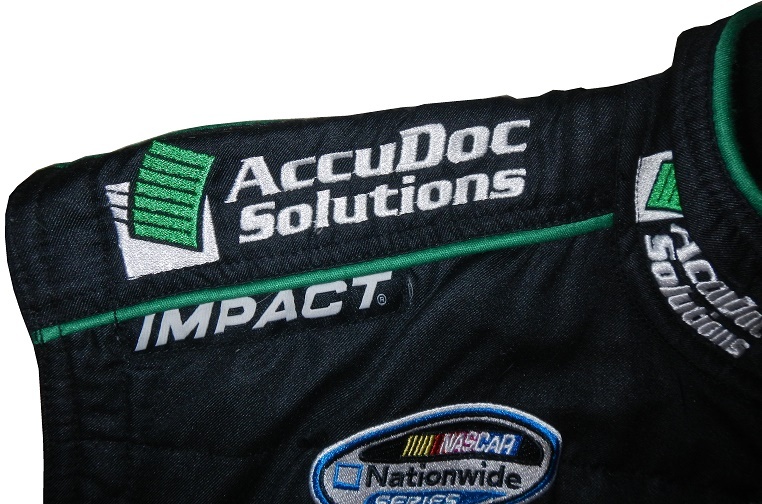 The back torso has a large ACCUDOC SOLUTIONS logo embroidered into it. While the death of Turner-Scott Motorsports was a sad way for a great team to end, it should be noted that Turner-Scott Motorsports didn’t become a powerhouse until they purchased Braun Racing. For the next few Vest Project columns, we will focus on Braun Racing items.